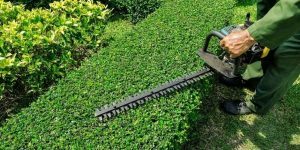 Branding is important whether you’re shopping for groceries, clothing or even a hedge trimmer. Each brand does things a little differently and strives to get ahead of the other companies in different ways. The companies that succeed in separating themselves from the pack become the most well-known and the most likely to be found in the majority of homes. 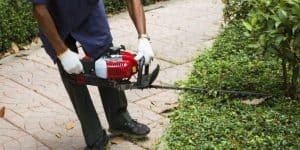 When it comes to hedge trimmers, there are many different brands and styles you can choose from. 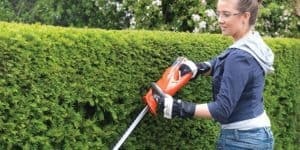 As you shop for one, it’s important to know whether you are in need of a hedge trimmer that is corded or runs on a rechargeable battery, as well as what length of blade you will need to complete the task. 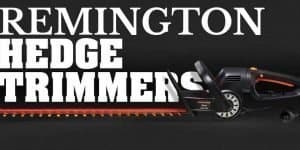 You’ll also want to consider what aspects of the machine will help make you more comfortable, for example whether or not you need something that will be more lightweight or how vital an anti-vibration system is. 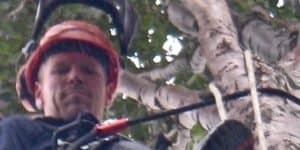 This article is going to help address these questions by providing information on the well-known Shindaiwa hedge trimmer. 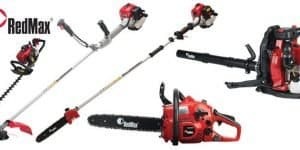 Shindaiwa is a leader in outdoor power equipment, providing high-quality products that are sure to be long-lasting and suited to your needs. They are manufactured and distributed by Echo Incorporated, and have products available in two kinds of engines, which allows them to match the preferences of any given customer. The 2-stroke engine is a well-known and dependable option, and is the standard that you will find in a number of different brands across the market. They also carry a 2/4 stroke engine, which is less common but may provide some benefits not found in the standard choice. In either case, it’s likely to be a quality item. All Shindaiwa hedge trimmer products are thoroughly created and tested by highly skilled engineers, giving them an edge in the industry. This rigorous testing is incredibly important and allows the company to stand behind its products with full confidence. Shindaiwa kicked off production with its very first chainsaw in 1953. This chainsaw was lovingly nicknamed “The hurricane.” 1962 brought the production of its first electric chainsaw, known as the A88 model. In 1985, it added to that its first blower, followed by the first engine cutter in 1993 and first power broom in 1994. There were a lot of firsts for Shindaiwa, as there are in many companies. In order for those first products to lead to more, they needed to be high quality and capable. The test of time goes to show that this company is one of the leaders in the industry. The Shindaiwa brand now has several trusted dealers throughout the United States. For those who want to have the most knowledge possible about who they are purchasing from, profiles for each of those dealers can be located on the Shindaiwa website. The company prides itself on providing friendly faces who customers can feel comfortable purchasing from, as well as talking to should there be any problems with their products. The idea is to create a warm atmosphere and a pleasant buying experience that will keep customers coming back for more. 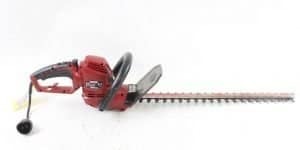 For the purposes of this article, it is important to take note that all Shindaiwa hedge trimmers, both professional and for home use, have incredibly sharp double reciprocating blades, which are available in both single- and double-sided versions. Oftentimes, the double-sided blades are more popular because they allow for a greater range of motion with less physical effort. These trimmers also all have rubber grips to help you get the best grip without too much discomfort. The goal of Shindaiwa, like many companies, is to provide the most efficient tools for their customers. This trimmer has a 21.2cc engine output with a spring anti-vibration system. 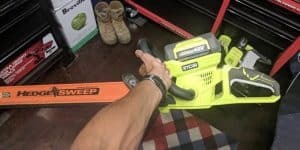 The anti-vibration system works to keep the machine from moving around too much, which can often lead to your arms going numb if you hold onto the trimmer for a lengthy period. It weighs 11 lbs., making it light enough to use for long periods of time. This model also comes with a rotating rear handle and reduced-effort starter to make sure you have an easy and comfortable experience. A forward-facing exhaust keeps the waste away from you. This trimmer also comes with 22.8” nickel-plated blades, and an aluminum support bar. This trimmer comes with 28” nickel-plated blades complete with an aluminum support bar. It has a rotating rear handle allowing you to keep a firm grip at all times. It also comes with a 21.2cc engine and a reduced-effort starter so that you can focus on the project rather than trying to get your tool started. This model also has an anti-vibration system and a forward-facing exhaust tube meant to keep any waste away from you. This model comes with a 21.22cc 2-stroke engine with front and rear rubber handles to keep your grip comfortable. It has 28” nickel-plated blades with an aluminum support bar and a debris sweeper. The HT232 also comes with a reduced-effort starter, like the others, as well as the anti-vibration starter. This trimmer also comes with a forward-facing exhaust tube. The HT235 is very similar to the HT232, with the most notable difference being that it has a longer blade. The nickel-plated blades on this trimmer are 37.6” long, allowing you an even further reach to get the job done. This model has a 21.22cc engine output and like the HT232, comes with a solid 2-stroke engine. It has a 12.5 fl. oz. fuel capacity and a set of rubber molded handles to keep your grip comfortable. This model also has an aluminum support bar and debris sweeper.